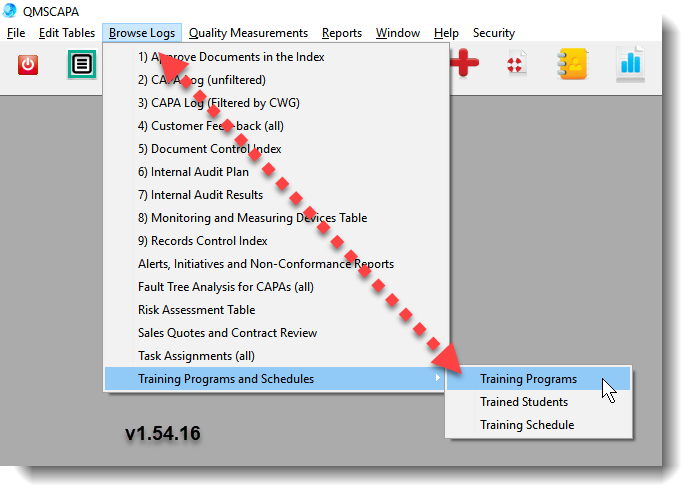 •The Training Programs menu option opens a table of training courses and training elements (components of the course). •The Trained Students menu option opens a table of personnel that have been trained on specific Training Programs. •The Training Schedule menu option opens a table of the Training Programs, which have been scheduled for specified students.